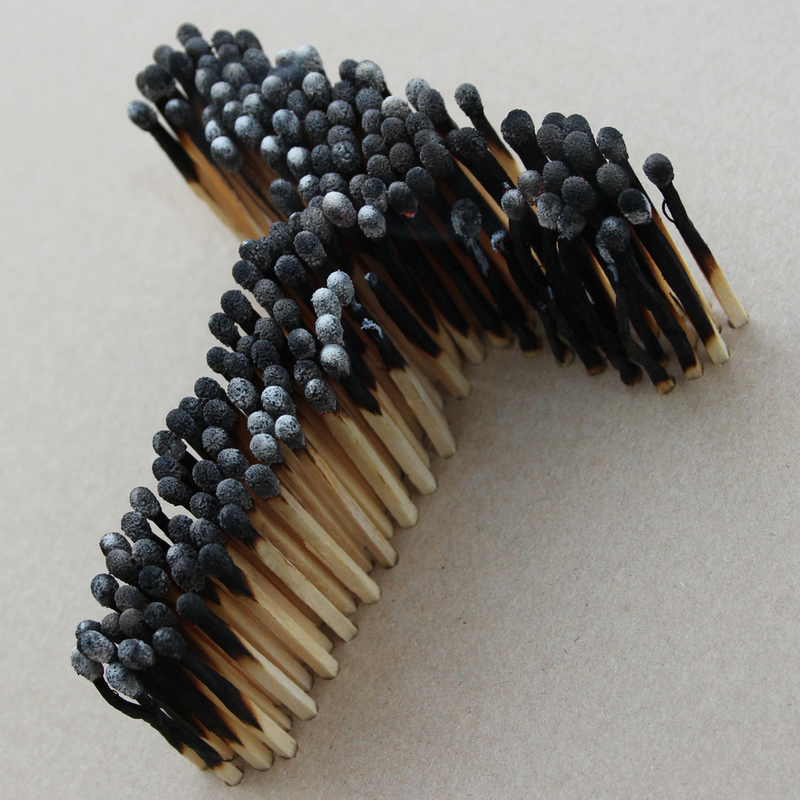 My last letter study in this project is a process piece that demonstrates a letterform being constructed from matches, then set on fire. This destructive, dangerous concept is inspired by the unconventional, often shocking work of Stefan Sagmeister. I began with everyone's favorite typeface, Comic Sans. Yes, friends. I literally set Comic Sans on fire. In Adobe Photoshop, I placed a dot pattern over my letter T, then masked it to determine which dots should be included to define the physical letter shape. These dots were designed and spaced to be the diameter of a match stick. 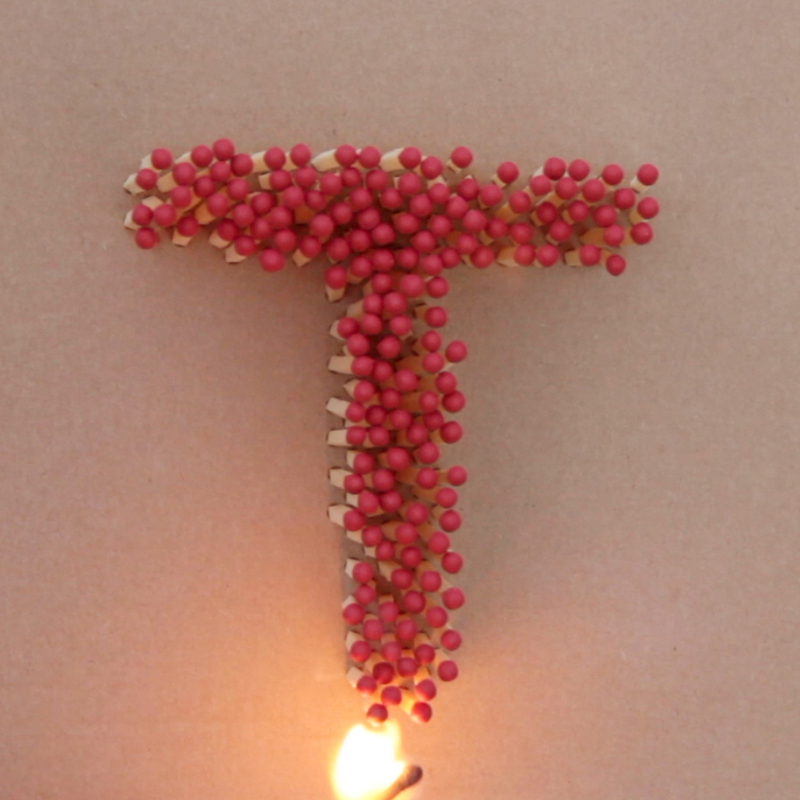 I spaced them close enough together to define the letterform and aid in the spread of the flame, but far enough apart that the cardboard into which I poked the holes for the matches wouldn't collapse. After printing my dotted template, I placed it onto a cardboard box which would serve as the canvas for this letter. Using an icepick, I poked through the paper and cardboard, piercing each dot. 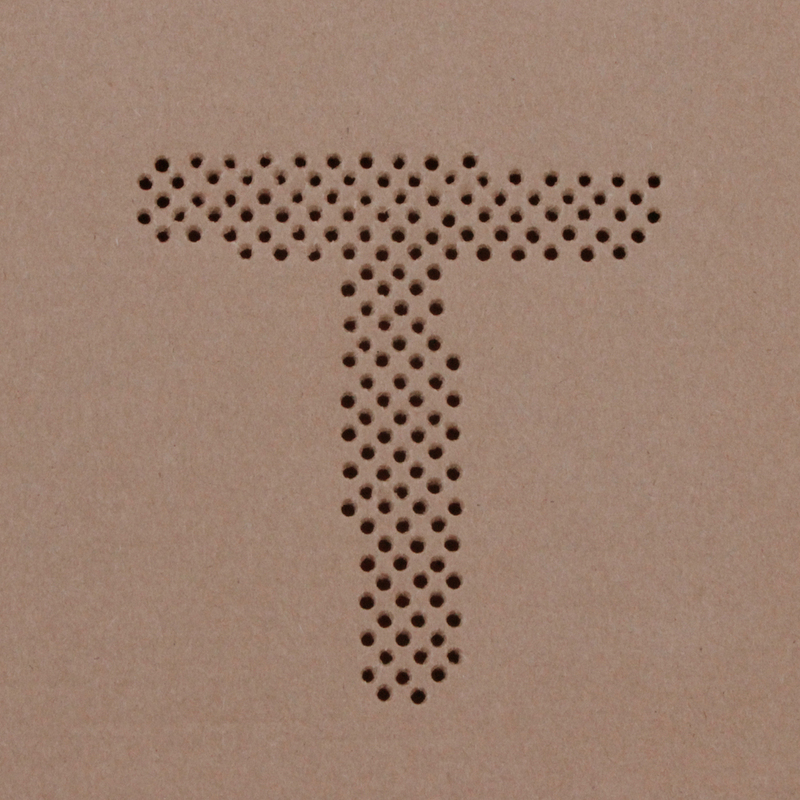 When I removed the paper, the cardboard had a perforated template of the letter T, ready for matches. The video I created for this letter includes me carefully inserting matches into the letter template, then lighting the letter on fire. 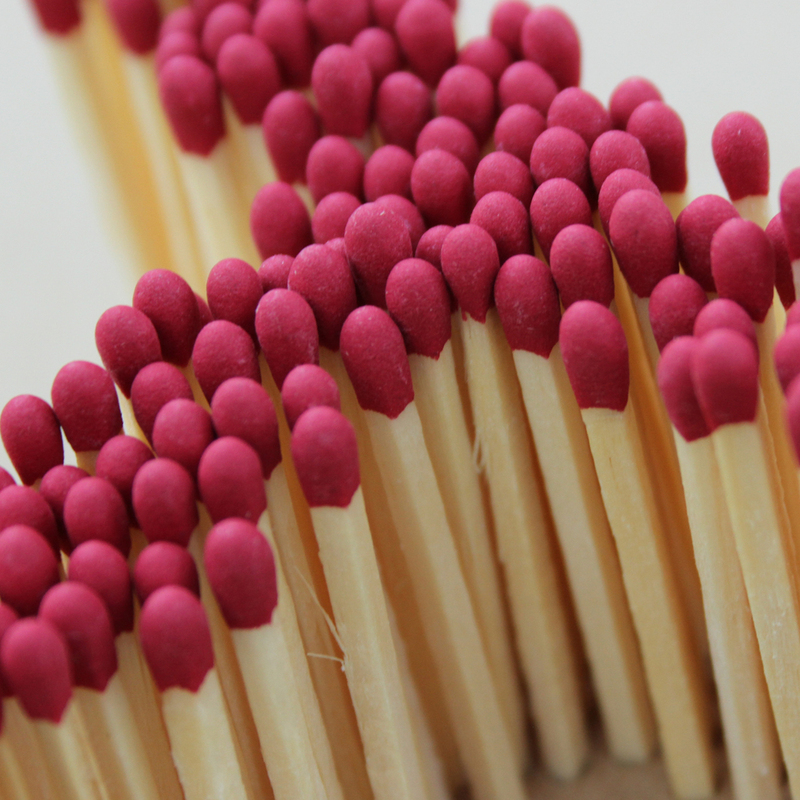 During the video, you can see the flame spread and ignite each match, starting from the bottom, traveling up the stem, then spreading to each arm. then watch the letter burn until it's extinguished. 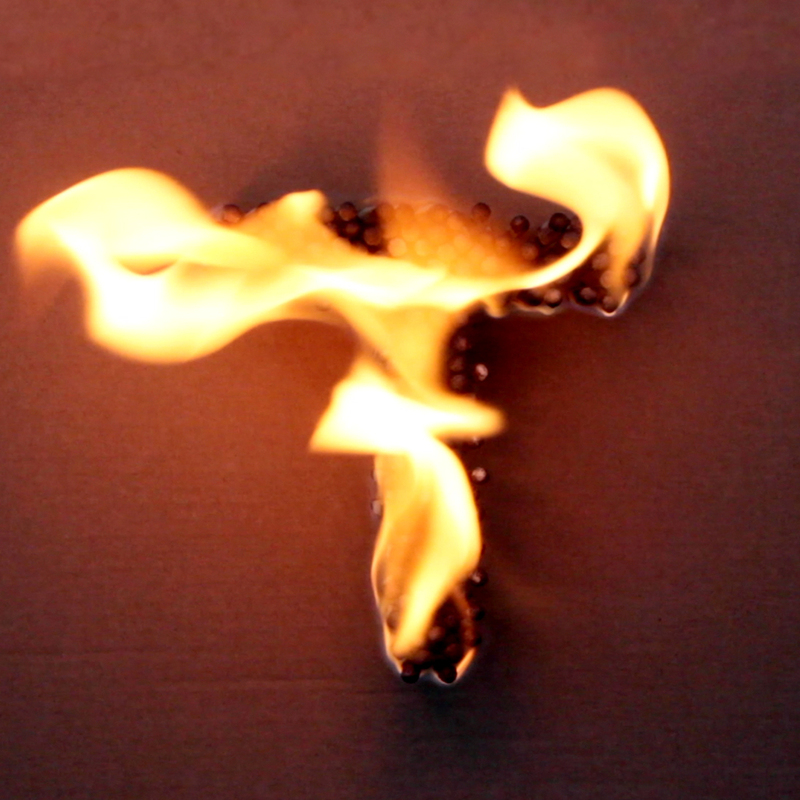 During most of the footage, the letter is engulfed in flames, but in some frames, the flames actually created a letter T, which surprised and delighted me - I expected only an inferno in which the letter would only be recognizable before and after the fire, not during. Photos of the spent matches are just as fascinating, as they mark where the fire began and show how much it traveled down the match stick before being extinguished.